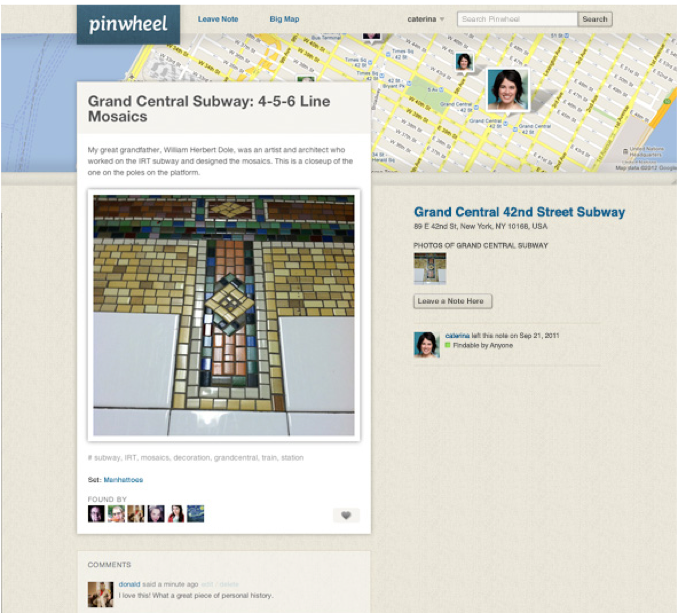 With Pinwheel, you can find and leave public or private notes at places all over the world. These notes can be shared with one person, or everyone; and can be categorized. 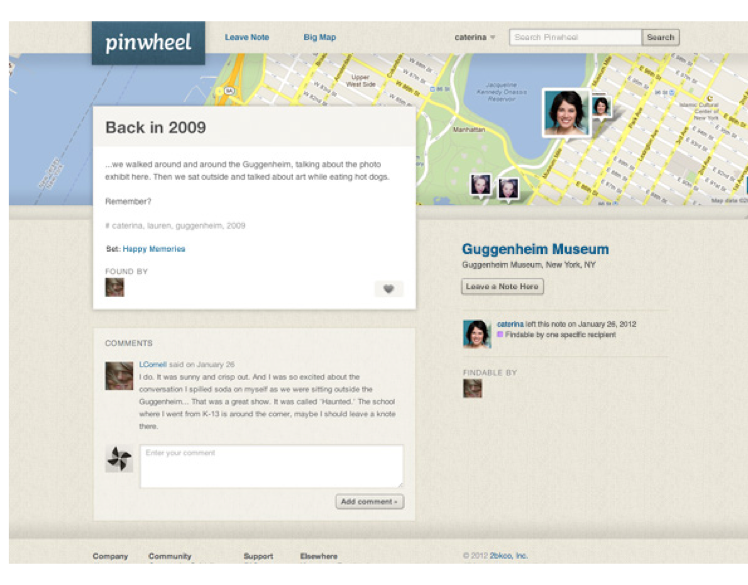 Fake uses the examples of “Best Spots for Butterfly Hunting”, “Every place that you told me that you loved me, circa 2008″ or “Find me a Nearby Toilet NOW” as sample note sets that you can leave and find via Pinwheel. Similar to other social and mobile experiences, you create a social graph of people you follow, places you follow and sets you follow. Eventually, you’ll also see notifications on your phone from who and what you choose. Fake herself compares the experience to a Flickr for Places (‘ish’), because the note can be a container or social object for a given place. Notes are really meant to be any sort of contextual information that can add to a place’s value, such as stories, advice, jokes, information, memories, facts, advertisements, and more. And in terms of monetization, businesses will be able to create their own sponsored notes at given places. As mentioned above, we haven’t used Pinwheel yet, but these are just a few of the initial interactions and details that Fake revealed. 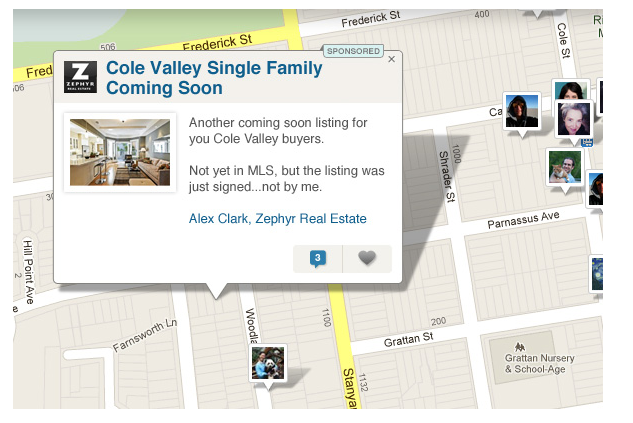 When we get our hands on the app, we’ll let you know and post a review. Oh and Pinwheel is hiring.